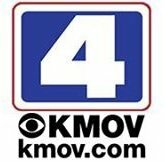 News TV Channel / KMOV, channel 4, is a CBS-affiliated television station located in St. Louis, Missouri, United States. The station is owned by Meredith Corporation. KMOV maintains studio and office facilities located at the Gateway Tower in Downtown St. Louis, near the Gateway Arch; its transmitter is located in Lemay, Missouri.